Peharsar is situated at a distance of 30 kms from Bharatpur on the Jaipur – Agra highway. Tucked away in this quiet village of Peharsar are several historic structures. It is said that the Mughal nobles conquered Peharsar in just three hours. Pehar means a three hour period and sar means victory and hence the name. The mosque located inside the village is a small rectangular structure having three chambers defined by pointed arches and surmounted by domes and small minarets at the corners. The rectangular frames below the chajja on the front facade have inscriptions. The structure is in a severely damaged condition and a portion of it has collapsed. Once a flourishing place, Peharsar is today a sleepy village. 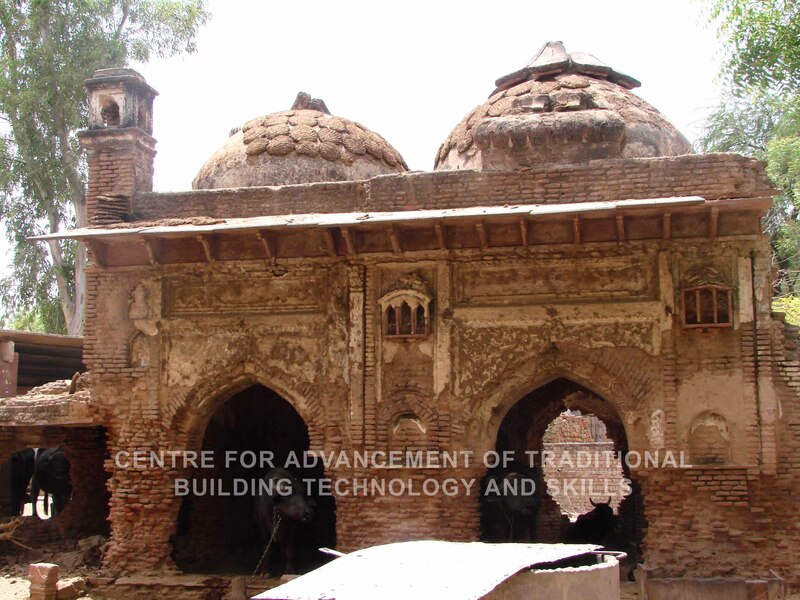 The historic buildings in the village offer lot of potential of reuse being well situated for visiting the World Heritage Site of Keoladeo National Park.